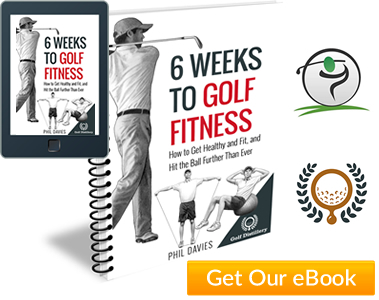 It will help you to deliver the golf club on a more in-to-out swing path into the ball. 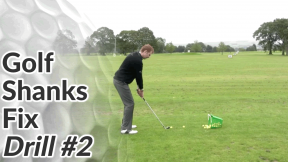 The opposite of this (anout-to-in or over the top swing path) is a major cause of shank shots. 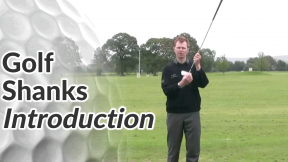 For more about the other causes of shank shots and how you can correct them, please see this golf shank page. 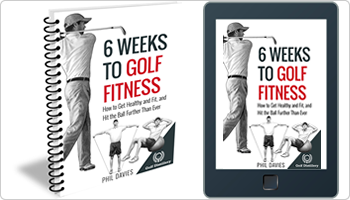 Golfers that shank the ball often suffer from a slice, because this also usually caused by a swing path that is too much from over the top. If this is the case for you and you’d like to eliminate your slice for good, please see my Fix A Golf Slice For Good series. 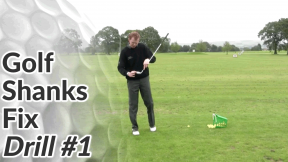 Using your 7 iron, set up to the ball as normal, then place another ball about one balls width on the outside. Now go ahead and address the ball nearest to you (the inside ball). 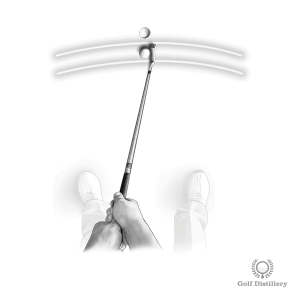 Make a good swing and try to play the inside ball as normal. If your swing is correct, the inside ball should fly nicely and the outside ball should remain in the same position. 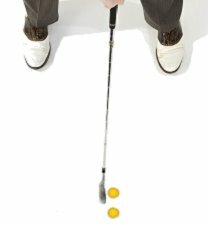 If the outside ball is moved, be aware that your club is not returning to the position at which it was when you addressed the ball.